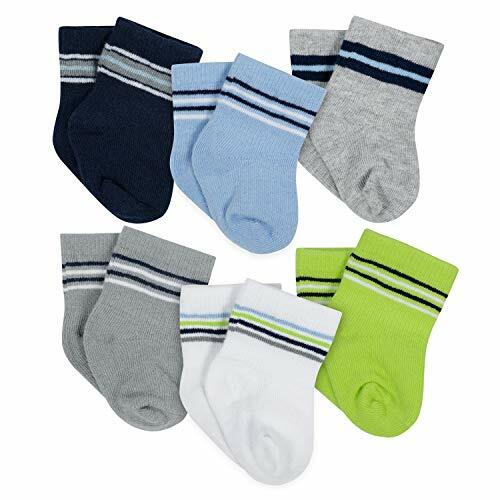 Gerber Baby Unisex 6 Pack Socks, Stripes, 0-3 Months by Gerber at Mas Fashion. Hurry! Limited time offer. Offer valid only while supplies last. ✔️ Made of soft cotton terry material. ✔️ Soft cuffs for a snug and comfortable fit. ✔️ Cute solid colors and jacquard designs.